Many people relocate with their pets, but did you know that the UK has four breeds of dog that are banned? Many of the people that we relocate to the UK are pet owners. Bringing your furry, scaly, or slimy friends with you on your new adventure is an exciting prospect! The most common pet that we see brought along for the ride is of course, man’s best friend, the Dog. But did you know that the UK has banned four breeds of dog? 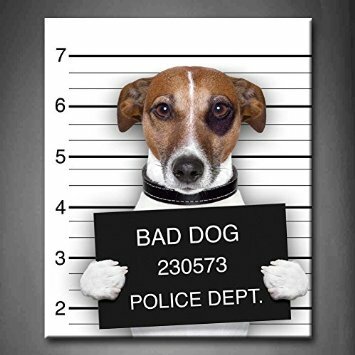 In 1991, the UK government passed the Dangerous Dogs Act. This was introduced to attempt to put a stop to violent and, in some cases, fatal attacks by dogs. Which seems reasonable, doesn’t it? The act itself has been a target for criticism since its conception. There are people that believe the legislation was rushed and put in place as a reaction to public outcry, over a spate of dog-related violent incidents (4 deaths in 1991), particularly on children. In 2007, it was included in a BBC poll of unpopular UK legislation. One of the main issues with the act is that it is limited to four breeds. Which people believe deems it ineffective, as dogs can be dangerous regardless of breed. 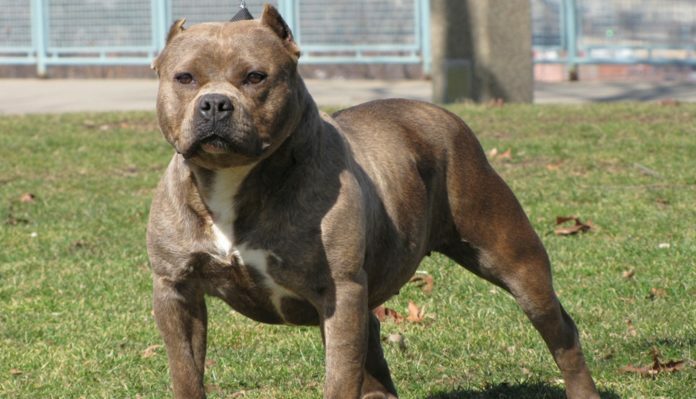 The Pit Bull is a dog which was descended from bulldogs and terriers. Unfortunately, these dogs were bred specifically to fight. The plan was to produce a dog that combined the fighting attributes of the terrier, with the strength and size of a bulldog. They were used for blood sports until these kinds of sports were eliminated in 1835. When bear-baiting and bull-baiting were no longer allowed, people decided to turn the dogs on each other, for gambling and entertainment. This is illegal. However, it still happens. The above practice, as well as unpredictability around the temperament and aggressive nature of the dog, means it is banned from the UK. The Tosa is a breed of dog of Japanese origin. It is a rare breed, which is a lot bigger than all other breeds of Japanese dog. It all began in the nineteenth century, when the Shikoku-Inu (an indigenous fighting dog) was bred with European dogs such as, the (now extinct) Old English Bulldog, Mastiff, St Bernard, Great Dane, and the Bull Terrier. The goal was always to breed a larger, more powerful dog... for fighting. It has always been considered a fighting dog which was bred to fight quietly - Japanese dog fighting rules call for silence. They were known as the “Sumo” of the dog fighting world. The reason it is banned is due to its strong and dominate temperament. Not a dog for beginners! This breed is also banned at national level in 10 other countries. 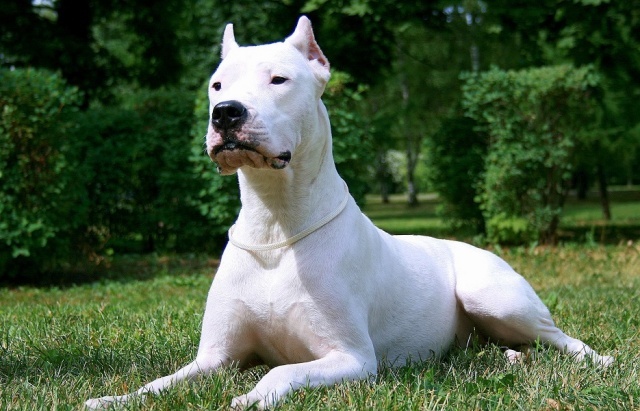 The Dogo Argentino was originated in Argentina. A breeder by the name of Antonio Nores Martinez, bred the dog for big-game hunting. He also wanted a dog that would be brave and protect its human companion. 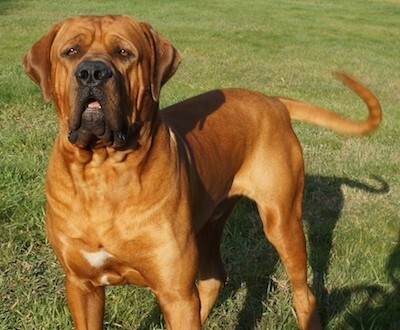 The Dogo was first bred in 1928, from the now extinct Cordoba Fighting Dog, and was then bred with a wide range of other, very large European dogs, to try and introduce specific traits. Due to this dog’s stubbornness, intelligence and domineering tendencies, it means that it is unsafe to be kept by an inexperienced owner, therefore, banned in several countries. 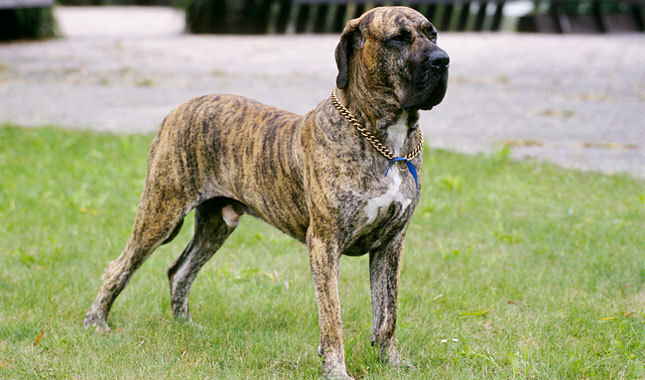 The Fila Brasileiro, which is more commonly known as the Brazilian Mastiff, is a large dog which was developed in… you guessed it! Brazil. Brazilians have a saying: “As faithful as a Fila”, which tells you how loyal they are. Other characteristics include aggression, intelligence, and strength. The breed was used originally as a hunting and working dog. They’re not known to not be attack dogs, but “catch dogs”. Which means they can catch their prey and hold it at bay until the hunter arrives. Back when slavery was legal in Brazil, they used Filas to return runaway slaves back to their masters, unharmed. The Fila has a primitive instinct to protect and can become very anti-social if not trained properly during it’s prime development years. It is known to protect its home, owners, and any family, meaning unknown visitors must never be left alone with the dog. This dog’s instinct is to hunt and protect; for this reason, it is banned from many countries. What if I own one, and it's a good boy? - Let the IED know if you change address, or your dog dies.